There’s good news for the 100 billion neurons in your brain. You can boost them with these 10 superfoods! Neuroscientists have proven that, in our lifetime, we not only hang on to our neurons but we also grow new ones. Throughout our life, our brain is continually expanding and reshaping itself in response to what we learn through it. Even something as silly as learning to bake can alter the structure of the brain. In a recent experiment, Lutz Jäncke, a Swiss neuroscientist, studied the brains of people who were learning to play a musical instrument. It was found that their brain went through significant changes in areas that control hearing, memory and hand movements. This was true even in participants who were 65 and older. 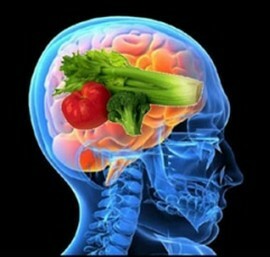 So, what can we eat for a smarter-working, highly powerful brain? Here are 10 superfoods that will boost your brainpower. Ever wondered why is it that the older we get the harder it is to learn new skills? Just like the teacher needs to communicate with the student in order to teach new things, the brain cells need to “talk” to each other in order to learn something new. As we age, those cells become inflamed making this “talk” harder. Blackberries act as ‘pick-me-ups’ for these cells. According to a research carried out by Tufts University, blackberries are potent antioxidants that reduce the inflammation and get the conversation flowing, thus enhancing our ability to absorb new information. People who suffer from Alzheimer’s disease have two common trademark causes – beta-amyloid plaques and tau proteins. And the troubleshooter here is cinnamon, according to an upcoming research from the University of California (Santa Barbara). Cinnamon contains two compounds – proanthocyanidins and cinnamaldehyde that may inactivate the tau proteins. Even if this research is in its nascent stage, adding cinnamon in your breakfast won’t hurt. No matter how many times you’ve been told to ditch that morning kick of caffeine, think twice before making a resolution. In a recent study done in Finland, 1400 long-time coffee drinkers in their 40s and 50s, who had 3-5 cups of coffee every day, were studied. The study proved that those who drank 3-5 cups daily reduced their chances of developing Alzheimer’s disease by 65% compared to those who drank fewer than two cups a day. The key cure? The caffeine and antioxidants in coffee were believed to fight the disease. An apple a day lets your brain power-play. Yes, there’s another reason why you should be eating apples apart from keeping doctors away. Quercetin, a strong antioxidant plant chemical found mostly on the skin of apples can keep your brain juices flowing. In other words, it protects the outer lining of neurons from free radical attacks that can potentially damage it leading to cognitive decline, a Cornell University study found. Sure you have heard how good dark chocolate is for your heart. But here’s something new to it: while chocolate helps in lowering blood pressure, it also enables good blood flow to your brain. In 2009, a study in the Journal of Nutrition said that eating as small as one-third of an ounce of chocolate every day can protect us from age-related memory loss. This is because the polyphenols in cocoa enhance the blood flow to the brain. Usually, they say, what’s good for your heart is good for your brain. The polyphenols found in red wine and concord grape juice (that’s dark grapes) can empower your brain. How? Just as the blackberries get the neurons talking, the polyphenols enable communication between brain cells. Thus, drinking grape juice can significantly improve your spatial memory and verbal learning skills (or any new skill for that matter). The researchers at the University of Cincinnati’s College of Medicine gave 12 older adults, whose memories were on a decline, a drink of concord grape juice daily for 3 months. They found notable improvement in their memory and learning skills. Nuts and seeds are rich in vitamin E. And higher levels of vitamin E are synonymous with less cognitive decline as we age. Adding an ounce of walnuts, hazelnuts, Brazil nuts, filberts, almonds, cashews, peanuts, sunflower seeds, sesame seeds, flax seed, and unhydrogenated nut butters such as peanut butter, almond butter, and tahini, is recommended. The highest source of DHA, the predominant omega-3 fatty acid in our brain, is one of the strongest fighters of Alzheimer’s disease. Salmon is the number one source of DHA and also tops in vitamin D – a nutrient that’s known to keep cognitive decline at bay. People who are deficient of vitamin D are 40% more prone to suffer from aging-related memory loss. This rich fruit offers strong antioxidants similar to quercetin (as in apples) that protect the brain from free radical damage. Almost all citrus fruits and colourful veggies are brain boosters for their antioxidant properties. More the colour, the better. Also featured as the top food to eat everyday in Furhman’s Eat-to-Live, spinach is full of nutrients that can prevent dementia. It contains folate, vitamin E and vitamin K. Just half-a-cup of cooked spinach contains one third of the folate and five times the amount of vitamin K your body needs in a day. We guess that’s the reason why a study in neurology unveiled that eating three servings of spinach, yellow and cruciferous vegetables can delay cognitive decline by 40%. So, eat these brain foods and stay at the top of your game. You could start with a bar of dark chocolate!